Posted by ijwoods in Blog+, Uncategorized. One thing some people would prefer not talking about, is what’s to be done with their body after passing away. 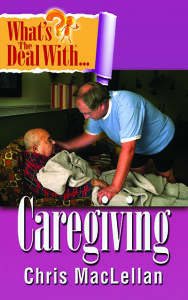 It’s a hard one to bring up, especially when caregiving. Some people already have this worked out from birth, while others are still mulling it over. Kris was very forthright about talking about it, and I really admired her fearlessness for that. One part of that discussion was of course deciding whether to be buried or cremated. That was pretty easy because she already knew what she wanted – cremation. Slightly more ambiguous was whether she wanted her ashes scattered or buried and where. The final decision was a combo of scattering and burial; half the ashes were to be scattered in our favorite hiking area outside of Las Vegas, and the other half was to be buried at a family plot in Minneapolis. We didn’t know exactly how to shop for something like this so first we tried to work it out at the funeral home. They attempted to sell us something quite expensive but we decided on buying a scattering tube that seemed appropriate and fairly priced. We then bought another urn for burial from an on-line site. It took me days to select something online because there were so many urns of different shapes, sizes, colors, materials and purposes. On top of that I didn’t know which vendor to trust. The variety was blinding, much like walking into a North Minnesota blizzard. Now that I am running an online cremation urn website (is that irony? ), I not only have my own experience but hear from many customers facing the same thing I did. I find they are as confused as I was and consequently we spend a lot of time educating when people call in for help. Posted by ijwoods in Uncategorized. As you might have noticed, I have not spent much time blogging on The Purple Jacket over the past six weeks or so. However, that does not mean that I have stopped writing. As The Bow Tie Guy, it seems fitting on National Bow Tie Day I share with you with a preview of the cover of my first book, ‘What’s The Deal With Caregiving’ published Jack Tatar at People Tested Media.